Who said guitars are dead? 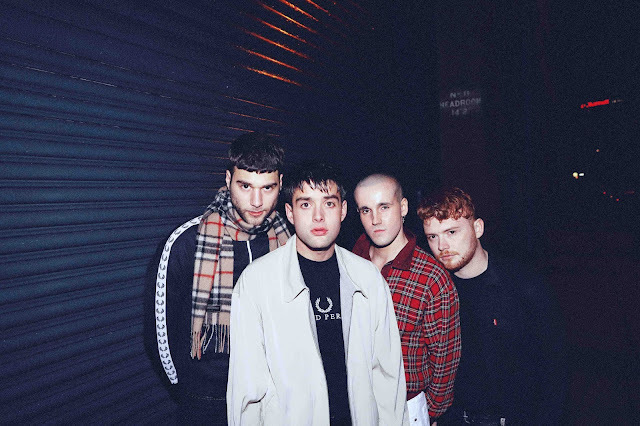 Glasgow's ALLIGATOR sure as hell missed the memo as they return swinging them from all angles on debut single, Shadow By Your Side. With the vocal harmonies of The DMA's mixed with the grungy DIY sounds of The Districts, the four-piece rattle through a hazy 4 minute pop song filling it with depth and lavishly infectious hooks. "I wrote ‘Shadow By Your Side’ because life is all about family and your mates and everything else is just shite." explains singer James McDonald. The track follows on from the band's earlier released effort Trickle Down. Take a listen for yourselves below. ALLIGATOR are: James McDonald - Vocals and Guitar, Conor Goldie - Guitar, Stuart Ivens - Bass, Carlo Kriekaard - Drums.